He may be not quite 2 years old, but little Diogo Mello has the soul of a rock 'n' roller, and a love of the Beatles that must have been with him since birth. You want proof? 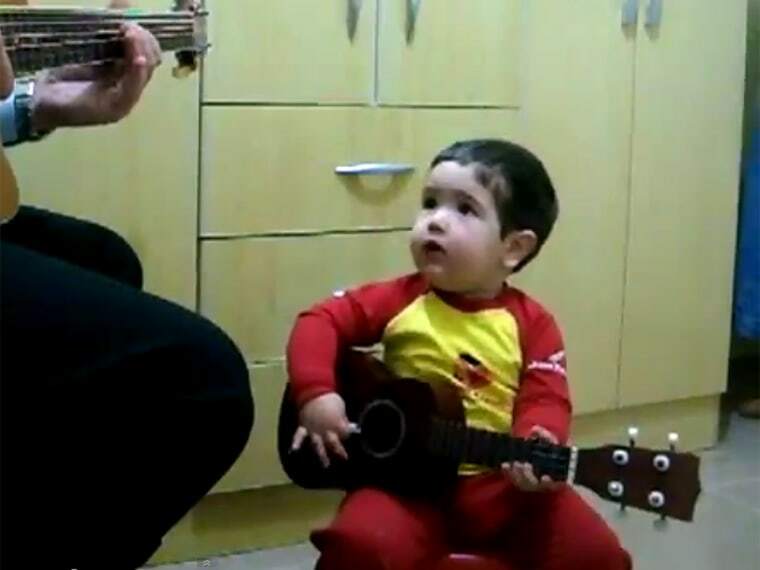 Get your cute goggles on: In this video posted by his father, Christian Diego Mello, the little boy sits on a stool, arms clutching a mini guitar, watching his father raptly as daddy begins strumming the opening chords to The Beatles' "Don't Let Me Down." And he's got his cues -- if not every note -- down pat, wailing back: "Don't let me down!" He even manages to fiddle with the guitar in a manner befitting any future rock star. It may not be father's day yet, but we've got our nomination for viral video dad of the moment.